20g of quality protein on the go. Caramel flavour containing 12 servings. No shaker or water needed, can be used anytime, anywhere. A low sugar & fat free protein snack. 6g of BCAAs per serving. WHEY20 can be used throughout the day with or between meals (such as at breakfast or mid-morning and mid-afternoon snacks) to provide a convenient way to increase daily protein intake. After training consume one serving within 30 minutes of finishing your session for maximum benefit. Completely unique within the market, the innovative delivery system is yogurt-like but doesn't require refrigeration, making it ideal to consume on the go. 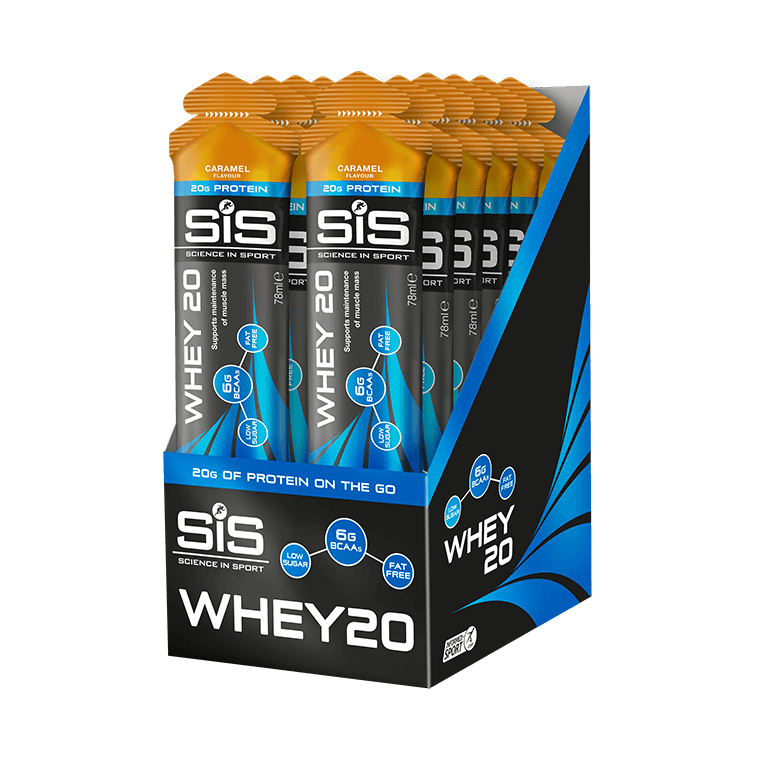 Water, Whey Protein Hydrolysate (Milk - 20%), Quark (Milk), Acidity Regulators (Phosphoric Acid, Citric Acid), Stabiliser (Pectin), Natural Flavouring, Sweeteners (Sucralose, Acesulfame K), Natural Colouring (Caramel), Preservative (Potassium Sorbate)..
SiS WHEY20 is a dairy-based protein gel, so it tastes like a delicious caramel yogurt. Absolutely not! 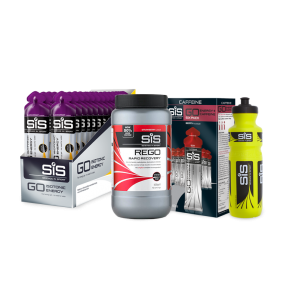 Each gel contains only 2g of carbohydrate, this isn't added sugar but just comes from the small amount of lactose that remains from the milk origins of the product. Nearly all fat has been removed too to leave just 0.2g per gel. With 20g of high quality protein this gives you a total of only 89 calories per gel.